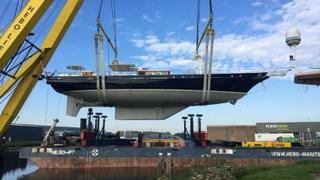 Dutch yard Claasen has relaunched the 30.4 metre Engelaer sailing yacht Reesle following an extensive refit. The refit, which lasted over 18 months, began in October 2017 and saw all systems on board the all-aluminium sailing yacht updated to the latest standards. This included the installation of a new monitoring system and two new Scania main engines. The interior and exterior were also freshly repainted, including the metallic painted hull. Styled inside and out by Hoek Design Naval Architects, this schooner-rigged yacht has been criss-crossing the oceans ever since she was launched back in 1995. This has seen her take in various high latitude cruising grounds such as Scandinavia and Russia. 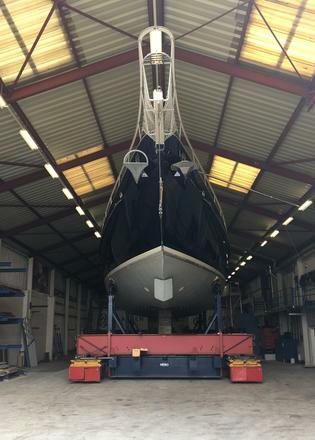 Reesle's mammoth Claasen refit has prepared her for even more adventures. 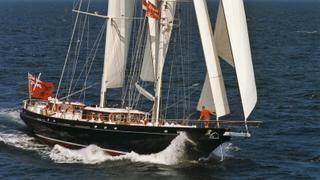 Following her refit, Reesle will be getting ready to embark on a round-the-world cruise to New Zealand. An all-aluminium sailing yacht, she can accommodate up to eight guests and four crewmembers in an interior that totals 100GT.